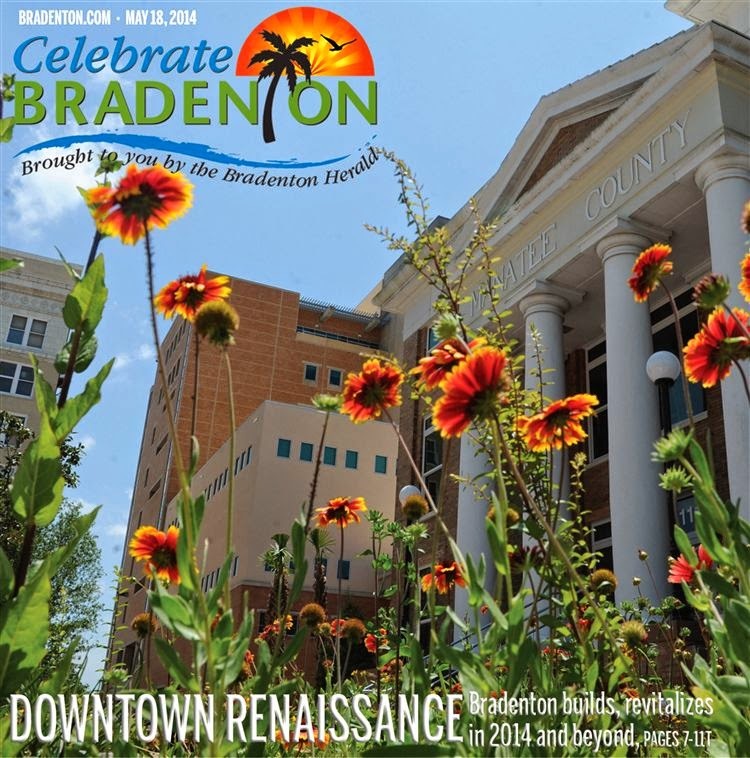 We published our eighth annual edition of "Celebrate Bradenton" this past Sunday, and it's a refreshingly bright magazine, thanks in large part to Features Editor Jana Morreale. Each year she motivates the staff to find the good in Bradenton. And they found plenty this year. New businesses. New wildlife preserves. New theater. Rejuvenated McKechnie Field, Riverwalk and Village of the Arts. 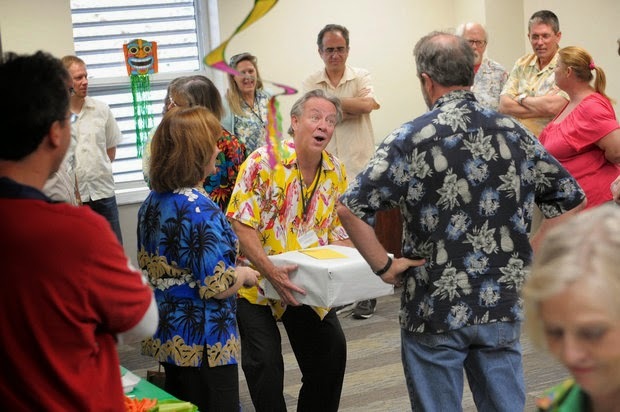 Hey, and the new Bradenton Herald digs at 1111 Third Ave. W.! I've received several surprising calls about my column in the section -- the biggest surprise was that the callers weren't critical. Each one wanted to share what they celebrate about Bradenton -- especially if I didn't mention it. They all mentioned one that I didn't: South Florida Museum and Snooty, our favorite manatee in Manatee. 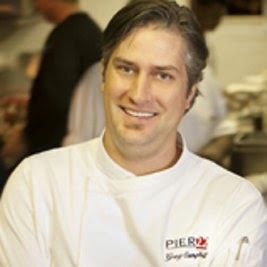 Their list of favorite restaurants is extensive. Anything outdoors. And what about the beach?? Thanks for taking the time to call, because it made me realize my biggest omission: Our readers. You are absolutely the best reason for us to "Celebrate Bradenton." 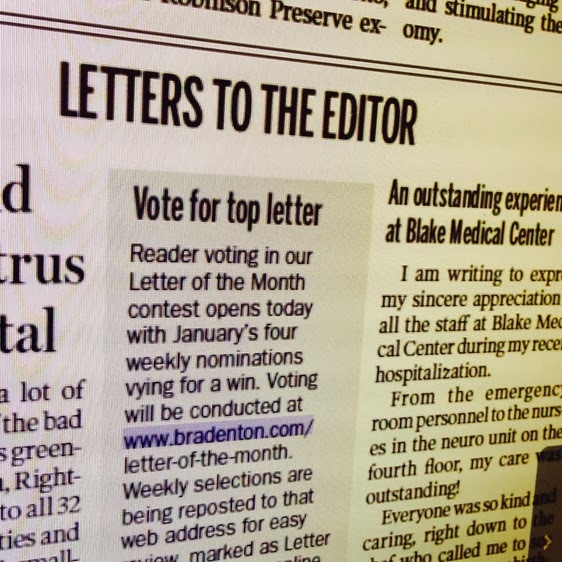 The Bradenton Herald's editorial board wants to highlight the best of the best letter writers this year. So we've launched a Letter of the Month contest -- with you, the readers, as our final judges. Part of a newspaper's legacy is its ability and responsibility to engage the community in conversation. A favorite vehicle for that conversation is through Letters to the Editor. The Herald has a rich history of letters from our readers, publishing thousands in our 92-year history. Politics is probably the most popular (maybe that's un-popular) topic. But our passionate letter writers will commend, condemn, rant or rave about almost anything they've read in the Herald -- or, sometimes, what they didn't read and think they should have. So how do we narrow down the field to the "best"? First, Herald editors will highlight one letter each week. The writer's opinion will not be a consideration for that choice -- everyone is entitled to their own opinion, and that's what makes the letters so rich and diverse. Instead, letters will be judged on strength of argument, writing style and clarity. Those that address current issues and events will get bonus points. Humor will not be disqualified. 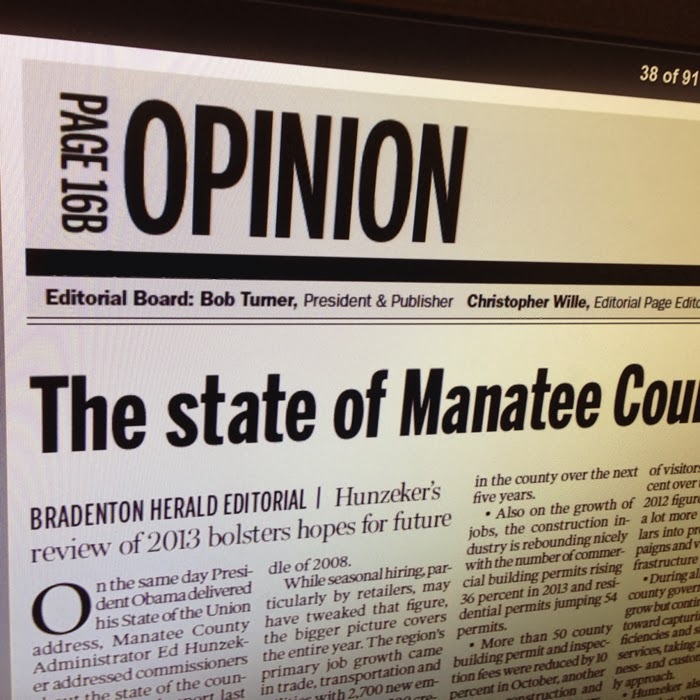 And if your letter gets the most traffic in the week after it's posted on Bradenton.com, we'll add another bonus point. The online voting will begin on the first Sunday of each month and continue until noon Friday. We'll announce the readers' choice on the second Sunday on the Opinion page, and here online. And get ready for a party, letter writers! We plan to get our dozen winners together in January 2015 to celebrate something typically discouraged in newsrooms: opinionated writing!